Several airports in the U.S., Canada, the UK, Australia and other countries are trialling biometric facial recognition (BFR) technology. It can be used to identify potential terrorists, but its most common application is in detecting illegal aliens using a false identity. The technology has been around for a while, but trialling – let alone implementation – was slow, partly because of teething problems. It has been expedited since early in 2017 as part of U.S. President Trump’s measures to intensify security procedures. The LAX experiment is being tested at the flight gate and is part of a partnership between LAX, the national Customs and Border Protection (CBP) department and British Airways, which all insist this technology will speed things up and offer more security. Other U.S. airports that are actively involved with testing the technology include Washington Dulles, a project which began in 2015, followed by New York J F Kennedy in 2016. 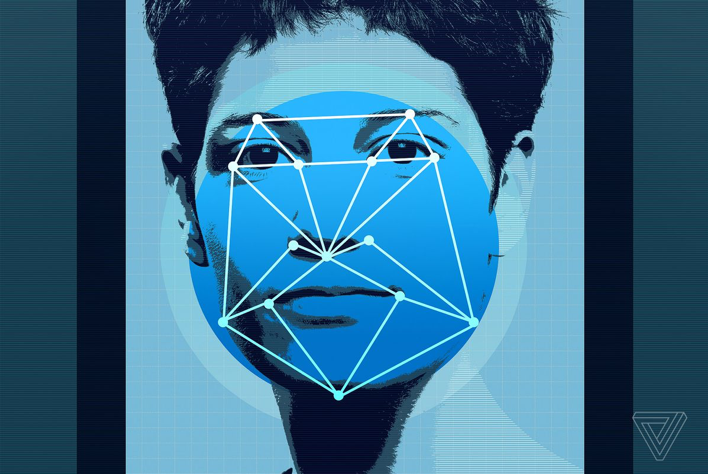 The fundamental mantra is that every face is different, so for a biometric match the technology looks from point to point on each face, and no two are identical. Nor is it possible to fool the system with a mask or a photo over the face, and the manufacturer claims it is 100% secure. The facial scans are compared to photos already in the CBP’s possession – typically passport photos for Americans. The data is stored with the CBP and is never distributed to a third party. The CBP itself says the system is 97.5% accurate – slightly different from the manufacturer’s claim – and it hopes to have the technology implemented at airports all around the country within four years. It is not an entirely new technology, and has been under development for several years now. But airports are playing catch-up compared to some other commercial and public sectors. For example, with a database of 120 million American adults, the U.S. Department of State operates one of the largest face recognition systems in the world, holding photos typically drawn from driver's licence photographs. This technology essentially being a security measure, it should however be noted that it has the capability to be employed as a marketing tool, as are other methods of security clearance. 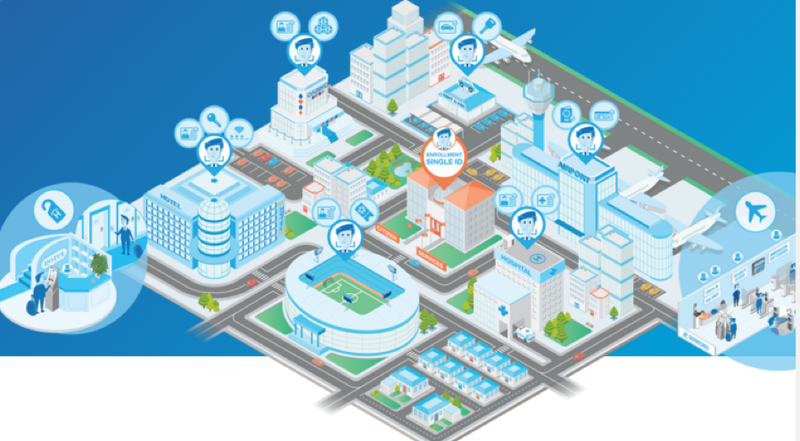 There is even also the possibility of extending the technology into the realm of medical tourism, where individuals might wish to fly into an airport in the morning, undergo a keyhole operation at a co-located hospital, and then return home by an evening flight, having used facial recognition throughout. It was inevitable that the security function would eventually be conjoined with marketing initiatives to reduce human factors and enhance the ‘seamless’ experience. Although security checking exists to protect the public, it is slow, mundane, intrusive, unfashionable and irritating. Any attempt to control passenger flows without skin contact with other human beings is bound to be unpopular. Especially those methods that bark soul-less electronic voice orders at passengers, and/or direct confusing digital message at them and herd them into pens to be interrogated by a robot, which is what often happens with biometric iris technology already. That is why improving passenger satisfaction is often given as a reason for the implementation of this technology. And there is a spin-off ‘benefit’ at the highest end of the technology, in that passengers will no longer have to access their travel documents at any point of the airport journey. When this technology is fully implemented their face will, passively, be their passport. At check-in, border control, the security checkpoint, even to access lounges or buy something at a shop, restaurant or bar. In fact, a case of “nodding through”, with no requirement for cooperation by the subject. However, that is as close to ‘Big Brother’ as we have come, and it will not be to everyone’s taste. Particularly if there is a case of mistaken identity – as is almost certain to occur. Moreover, it should not be forgotten that the technology is still very much under trial. There are particular benefits to this technology. Other biometrics like fingerprints, iris scans, and speech recognition cannot perform this kind of mass identification. And questions have been raised on the effectiveness of face recognition software in cases of railway and airport security. For example, as long ago as 2008 a researcher at a robotics institute identified an obstacle related to the viewing angle of the face. While face recognition had become very good at full frontal faces and at angles of up to 20 degrees, it was not so good at handling profile views. Moreover, low-resolution face images were difficult to recognise. This remains one of the main obstacles of face recognition in surveillance systems. Also, face recognition software is not so good at identifying ethnic minorities when most of the subjects used in training the technology were from the majority group. Other conditions where face recognition does not work too well include poor lighting, and where the subject wears sunglasses, hats, scarves, beards, long hair, make-up or other objects partially covering the face. It is also less effective if facial expressions vary. A large smile can render the system less effective. Of course, many of these impediments impacted also on iris recognition technology, which is why that procedure is heavily regimented (“hat off, spectacles off, keep face still, do not smile, remain immobile, look straight at the camera”). But regimentation can turn the public against the technology. Those limitations and inconveniences aside, SITA recently stated that biometrics, artificial intelligence, mixed reality, and robotics underpin its solutions for the “airport of the future” and that such technologies are required, with passenger traffic doubling in some parts of the world over the next 20 years. SITA claims that “passengers prefer to use technology when they travel. For example, it has been proven that automated identity checks at passport control and boarding increase passenger satisfaction. In particular, biometrics offers the opportunity for a secure and seamless experience. Airlines and airports can be confident that the majority of passengers will welcome its introduction. In fact, 57% said they would definitely use biometrics for their next trip". The technology is being introduced elsewhere in the world. Both the Australian and New Zealand border control services are using one brand of the technology, SmartGate, while Canadian airports are starting to implement it. Ottawa International Airport introduced it in 2017, and others will do so this year. At London Heathrow Airport British Airways has rolled out a system of its own, comparing faces captured at security screenings with a separate capture at the boarding gate. One adaptation is under way in Panama, where Tocumen International Airport has installed hundreds of face recognition cameras to identify “wanted” individuals as they pass through. That philosophy chimes with that of IATA, which has always taken the line that technologies like this should be aimed at finding bad people, not bad objects, such as explosives in bags, in order to speed up the system. Indeed, for the best part of a decade, IATA has been insisting that passenger security profiling would be based on biometric and flight booking data. Biometric identity verification is not, of course, something that can be offered and implemented without safeguards. Oversight is in the hands of the International Civil Aviation Organisation (ICAO), which agrees on methodologies such as fingerprints, facial dimensions and iris scans and how they are implemented. But it is an evolution that has been driven by the inadequacies of an airport checkpoint system that was invented in the 1960s to counter the threat from a particular type of individual – a hijacker – whose objective was often no more than “take me to Cuba”. That security platform was ancient, and creaking, and no match for sophisticated modern-day terrorists. On top of that, it had become highly labour intensive, with a “one size fits all” process. The only realistic progression was towards a risk assessment arrangement that can, as far as possible, be conducted without the need to form a queue – which is at least feasible with facial recognition – while at the same time avoiding even the potential for the allegation of racial or ethnic profiling. Finally, the opportunity to marry these features with big data on known travellers is valuable from a security viewpoint, and also from a commercial one. Cost is, of course, another aspect. The security bill to airlines runs to USD8 billion a year, and impacts directly on the overall cost of travel. Any potential silver bullet for this enormous bill merits scrutiny. Of course, for all sorts of reasons, including civil rights, such technologies are often slow to be adopted beyond the testing stage into implementation. But this time it is different. They are being expedited by the Trump administration, possibly the administration most focused on security and immigration in U.S. history. Trials began on a single flight from Atlanta to Tokyo, and under some previous administrations might have remained that way for years, but not now. The President is enamoured of Biometric Exit, a buzzword for a technology that photographs U.S. visa holders as they leave the country, to be matched with the passport-style photos provided with the visa application. If there’s no match in the system, it could be evidence that the visitor entered the country illegally. The President’s Executive Immigration Order in Jan-2017 – which is best known for suspending all visitors to the US from seven majority Muslim countries – also included a clause expediting Biometric Exit, with three progress reports to be made over the year. A revised order was issued in Mar-2017, containing the same language, and while both orders were stayed by federal courts, the Biometric Exit system remains one of the new administration’s top priorities for CBP. CBP agents take photographs and fingerprints from every visa holder entering the country, but there are no similar measures to verify someone has left the country before their visa expires. Biometric Exit would close off that loop, giving CBP agents verifiable biometric proof that a given US visitor had left the country. Some form of Biometric Exit technology has been discussed for several decades, but it is only recently that facial recognition emerged as the method of choice, over systems based on fingerprints and iris recognition. Unlike the case with iris prints, the CBP already has visa holders’ faces on file and, unlike fingerprints, faces are easy to check at the gate. Fundamentally, facial recognition is preferable because everyone knows how to take a photo, unlike the situation with fingerprints, where people sometimes have to be educated on how to submit their fingerprints to a machine.